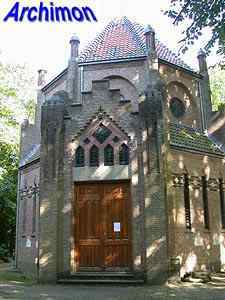 The St. Adelbertkapel was built as a catholic cemetery chapel but is nowadays used as a centre for meditation. 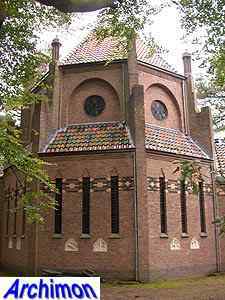 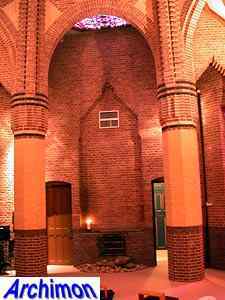 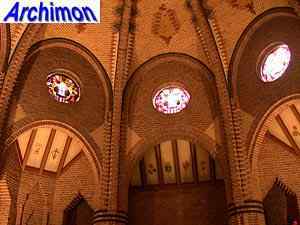 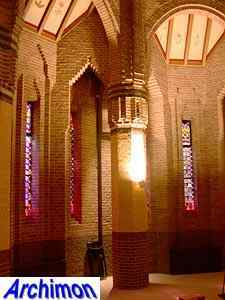 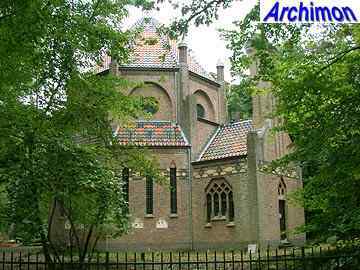 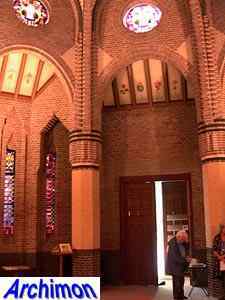 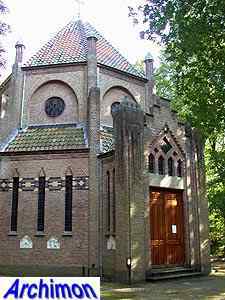 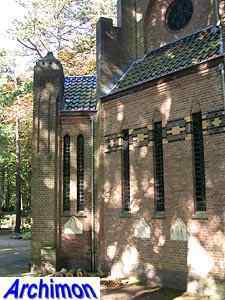 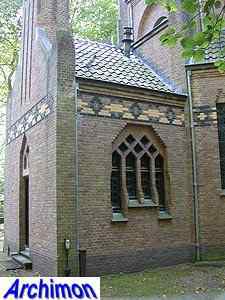 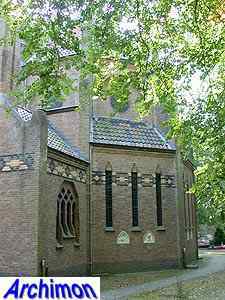 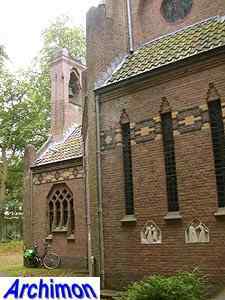 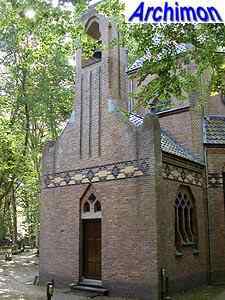 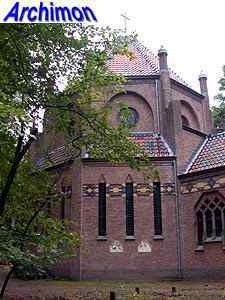 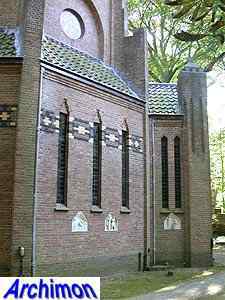 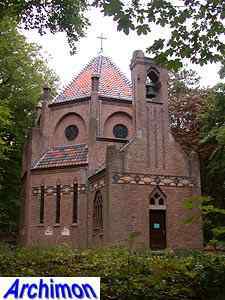 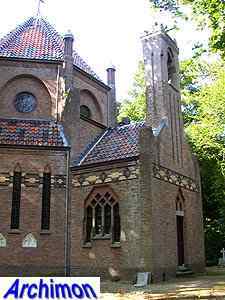 French monk and architect Dom Bellot, who resided at the abbey in Oosterhout in that period, designed the chapel in 1923. 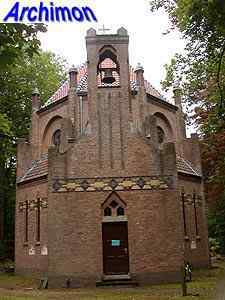 It's an octagonal building in Expressionist style, with a small portal at the front and a sacristy with a small tower at the back. 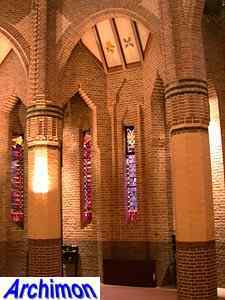 The space is divided in a lower "side-aisle" and a higher central space, the upper part of which serves as a clerestorey and is covered by a large vault. 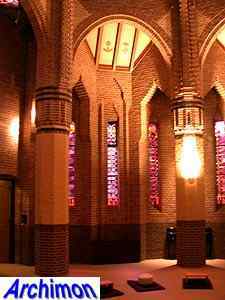 In between the two parts are eight pillars. 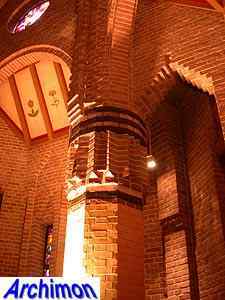 Bricks of different colours as well as coloured cement were used both on the outside and in the interior. 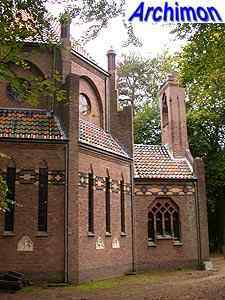 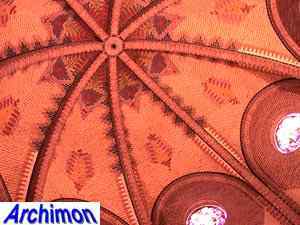 The building of the chapel was led by architect S.B. 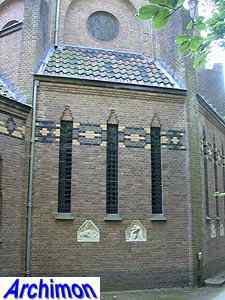 van Sante, who used Bellot's style for his own church in Grootebroek.